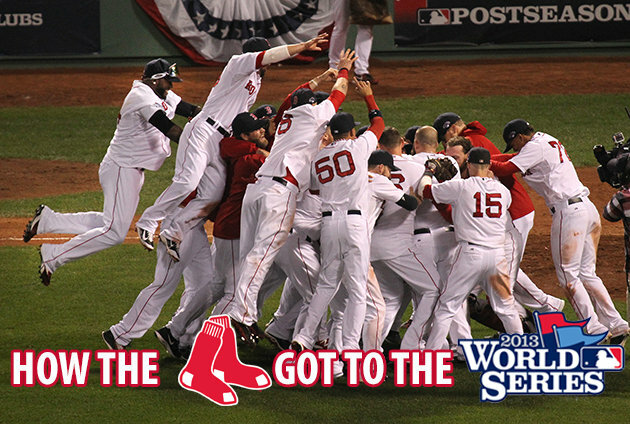 The Boston Red Sox, a team that was once last place in their division, won the World Series title yesterday against the Saint Louis Cardinals. The Boston Red Sox started off the series by winning the first game, then they lost two consecutive games, but eventually had a come back and won the last three games to win the the title in Boston, for the first time since 1918. The Red Sox kept their ground during game six, letting Saint Louis only score once. David Ortiz won the MVP and said ” We won this for you Boston and you guys deserve it.” According to ESPN, “John Lackey became the first pitcher to start and win a Series clincher for two different teams, allowing one run over six and two thirds innings 11 years after his Game seven victory as an Angels rookie in 2002.” Throughout the struggles that Boston has been though, they prevailed and won the World Series and clinched the title in Boston, which is a huge victory for their whole city.